Exclusive! 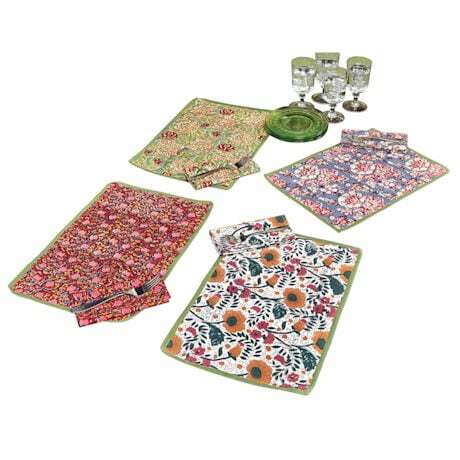 Set a festive, colorful table with hand block printed cotton placemats and napkins. Mix and match the four colors and patterns. 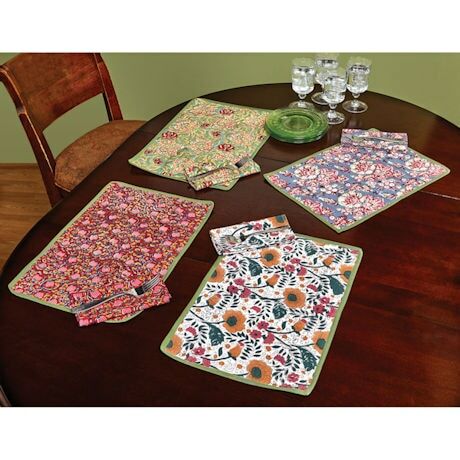 When you want a more unified look, all four placemats reverse to a floral print on white. 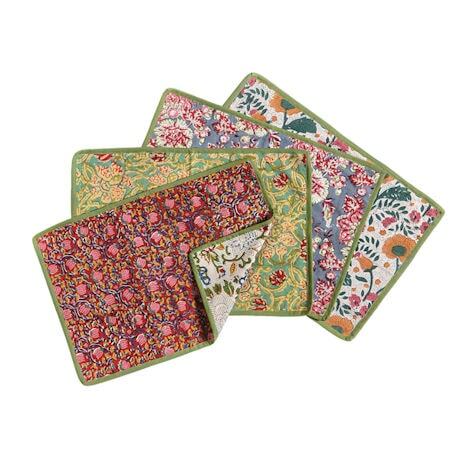 Placemats (XC3187) are 19" x 13", napkins (XC3517 - sold separately) 16" square. Sold in sets of 4. Machine wash. Made in India.